Google’s car project (known as “Chauffeur”) kickstarted the entire robocar revolution, and Google has put in more work, for longer, than anybody. The car was also the first project of what became Google “X” (or just “X” today under Alphabet. Inside X, a lab devoted to big audacious “moonshot” projects that affect the physical world as well as the digital, they have promoted the idea that projects should eventually “graduate,” moving from being research to real commercial efforts. 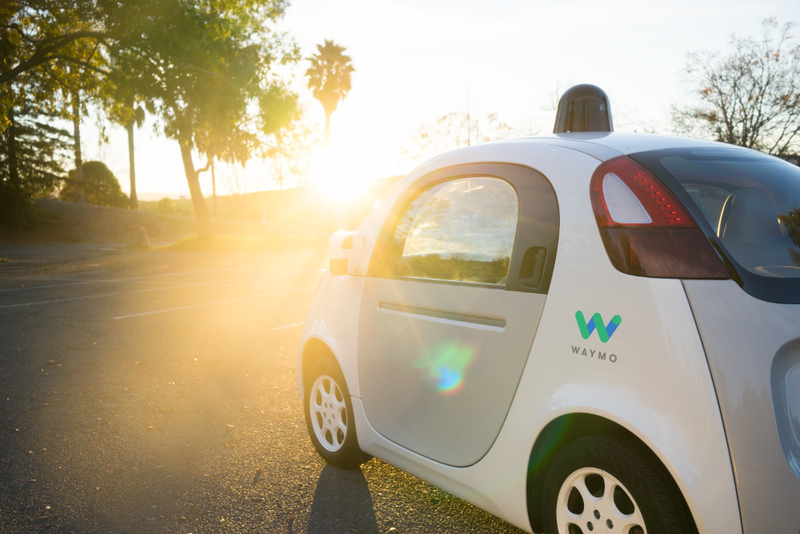 Alphabet has announced that the project will be its own subsidiary company with the new name “Waymo.” The name is not the news; what’s important is the move away from being a unit of a mega-company like Google or Alphabet. The freedoms to act that come with being a start-up (though a fairly large and well funded one) are greater than units in large corporations have. Contrast what Uber was able to do, skirting and even violating the law until it got the law changed, with what big corporations need to do. It took Google/Alphabet 6 years to let somebody ride on public streets in part because it is a big company. It’s an interesting contrast with how Otto did a demonstration video after just a few months of life of a truck driving a Nevada highway with nobody behind the wheel (but Otto employees inside and around it.) That’s the sort of radical step that startups do. Waymo declared their next goal is to “let people use our vehicles to do everyday things like run errands, commute to work, or get safely home after a night on the town.” This is the brass ring, a “Mobility on Demand” service, which is able to pick people up (ie. run unmanned) and even carry a drunk person. The last point is important. To carry a drunk is a particular challenge. In terms of improving road safety, it’s one of the most worthwhile things we could do with self-driving cars since drunks have so many of the accidents. To carry a drunk, you can’t let the human take control even if they want to. Unlike unmanned operation, you must travel at the speed impatient humans demand, and you must protect the precious cargo. To make things worse, in some legal jurisdictions, they still want to consider the person inside the car the “driver,” which could mean that since the “driver” is impaired, operation is illegal. The importance of this project is hard to overstate. While most car companies had small backburner projects related to self-driving going back many years, and a number of worthwhile research milestones were conquered in the 90s and even earlier, the Google/Waymo project, which sprang from the Darpa Grand Challenge, energized everybody. Tiny projects at car companies all got internal funding because car companies couldn’t tolerate the press and the world thinking and writing that true future of the car was coming from a non-car company, a search engine company. Now the car companies have divisions with thousands of engineers and it’s thanks to Google. The Google/Waymo team was accomplishing tasks 5 years ago that most projects are only now just getting to, especially in non-highway driving. They were rejecting avenues (like driving with a human on standby ready to take the wheel on short notice) in 2013 that many projects are still trying to figure out. Indeed, even in 2010, when I first joined the project and it had just over a dozen people, it had already accomplished more complex tasks that most projects, even the Tesla Autopilot that some people think is in the lead, have yet to accomplish. Let’s see where Waymo goes.